Bring the Outdoors Inside! 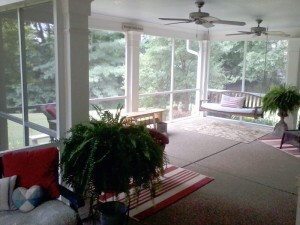 - Home Building Products, Inc.
You are here: Home / Products & Services / Bring the Outdoors Inside! A place to entertain, regardless of the rain. A means to appreciate the outdoors… without having to be continually harassed by mosquitoes and other flying unwanted pests. Most home owners love to be able to relax outside, and to really enjoy the pleasant breeze the summer season brings along. One problem would be that the insects and sometimes debris like leaves or propeller seeds always manage to hamper their time spent experiencing and enjoying the open air. It may seem that there is no way to truly enjoy unwinding with a book or eating a hamburger without having some pest or debris flying around – and it doesn’t have to be the case with screen rooms. 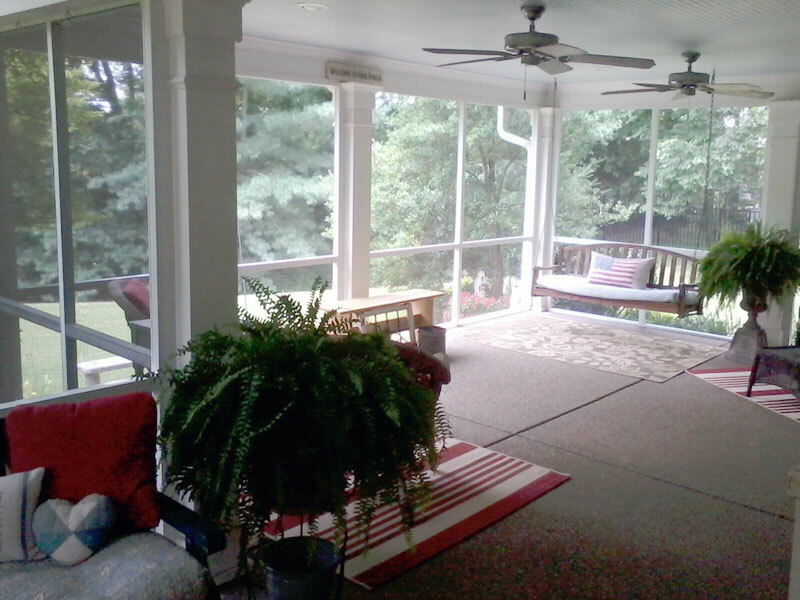 We can easily transform your existing porch into your very own Screen Room – or – build one from scratch. In any case, you’ll have your very own little indoor/outdoor piece of heaven in your own home.